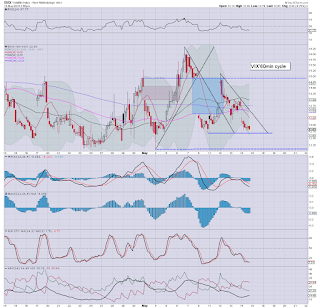 With equities seeing rather significant net daily gains, the VIX was naturally on the slide, settling -7.4% @ 12.74. 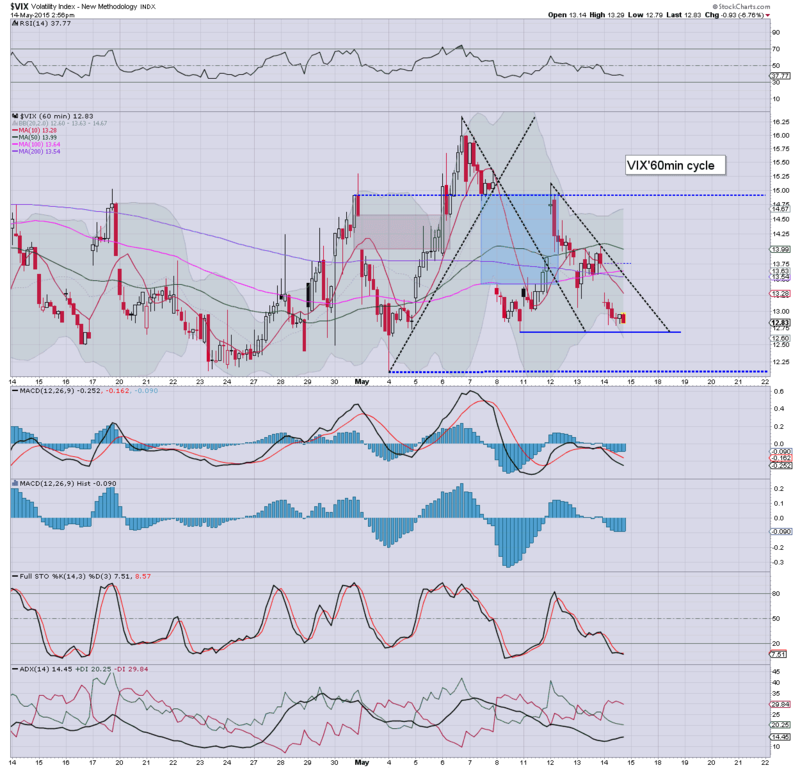 Near term outlook is for continued equity strength, which should equate to VIX remaining within the 15/11 zone. The big 20 threshold looks out of range until at least mid June. Equities look set for new historic highs (in some, but not all indexes), and VIX should remain subdued for at least another few weeks. If sp'2170s in June.. might we briefly see a capitulation low of VIX 10s.. or even the 9s.. marking a turn before a summer/autumnal correction? *a closing hour of very minor chop.. as most are seemingly resigning themselves to further upside in the days ahead. So, a day for the equity bulls, and there is little doubt new historic highs are due within the near term. 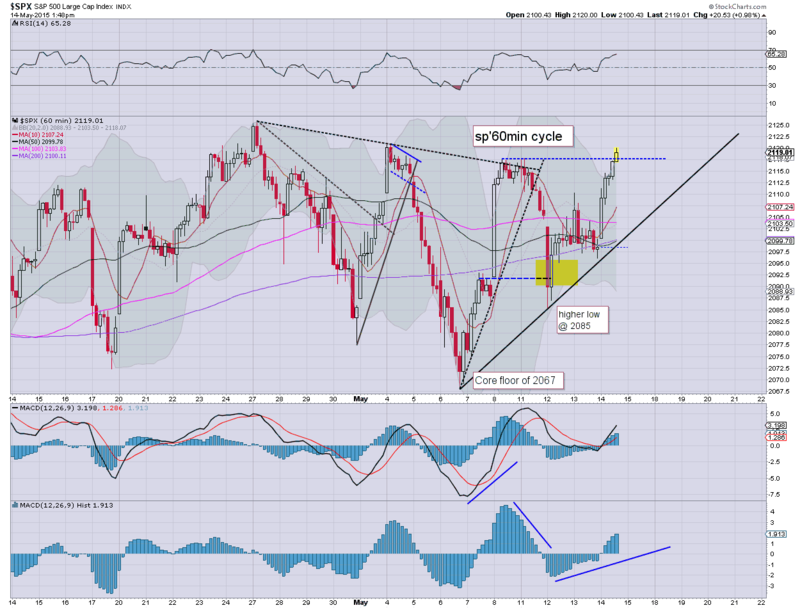 The bigger weekly cycle is offering the sp'2140s in the near term, and by the next FOMC of June 17'th, both the weekly/monthly cycles will be in sync.. offering 2170s. 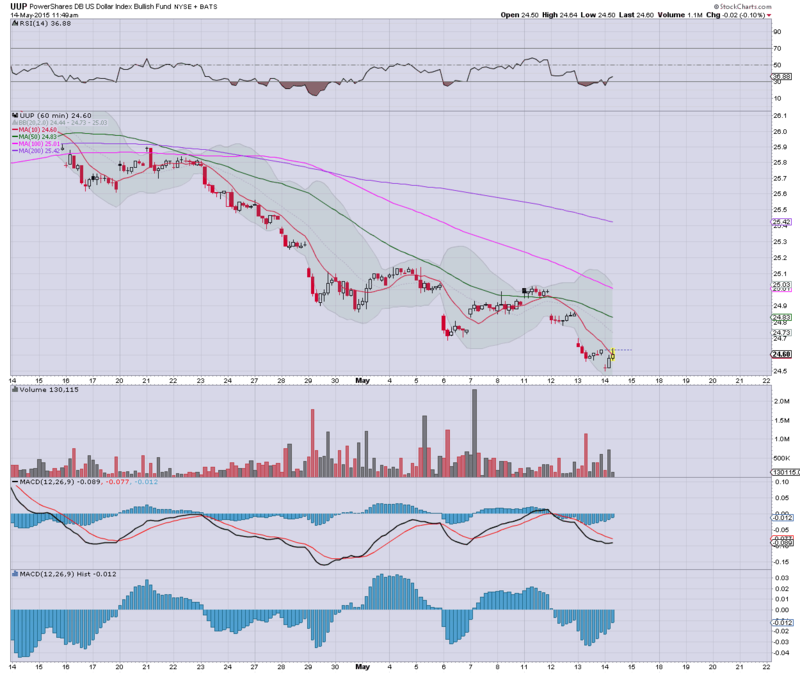 *I remain short via GLD, a small consolation was a closing black-fail candle on the daily cycle. 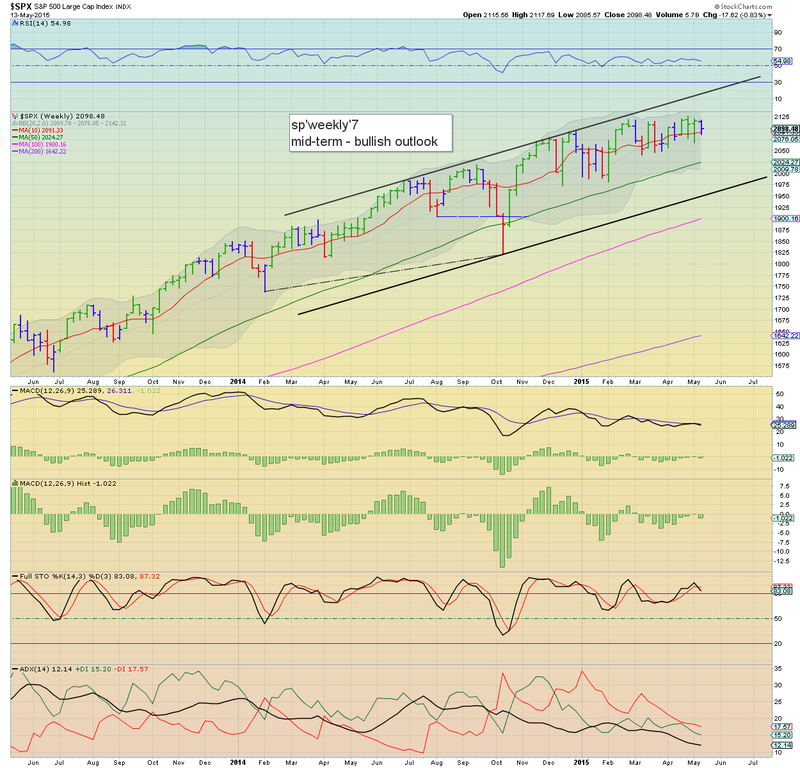 Equity indexes are going to settle with somewhat significant net daily gains, a weekly close in the sp'2130s is very viable. USD has turned a little lower again, -0.2% in the DXY 93.40s. Metals have cooled a little from the morning highs, Gold +$7. 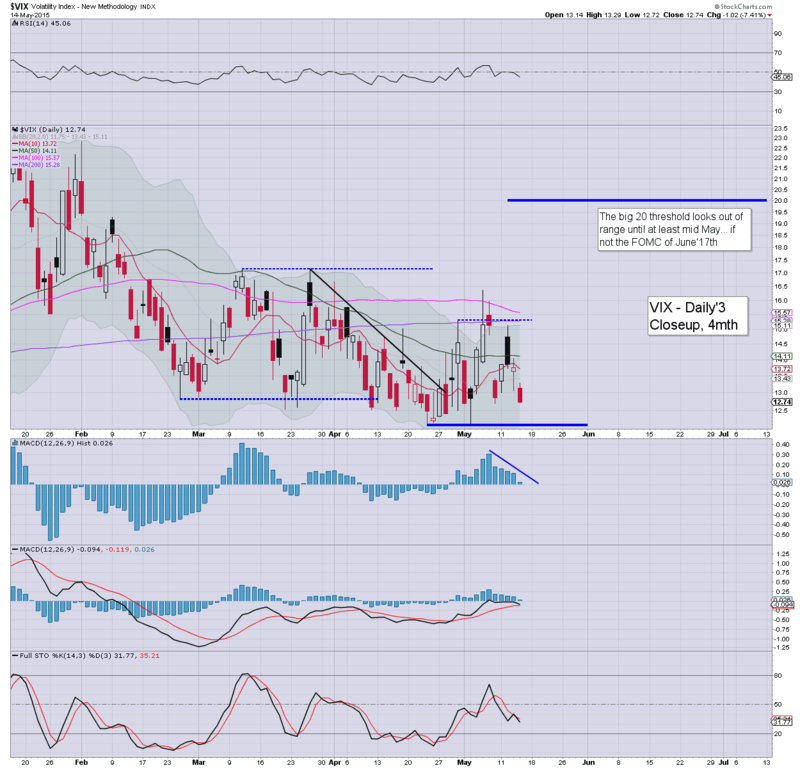 VIX is set for a close in the 12s. *with the USD set to close net lower.. the earlier turn... is clearly not the case. A day for the equity bull maniacs... with new historic highs due in the near term. 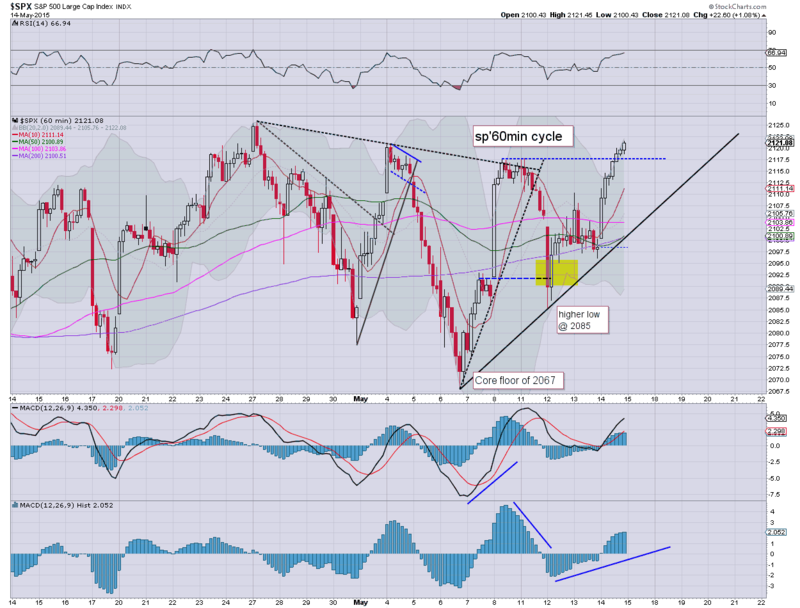 Weekly cycle will be offering the 2150/60s in early June... a tag of the upper bol' on the monthly cycle remains a valid target before this madness maxes out for early summer. US equity indexes continue to battle upward, with sp' hitting 2120, a mere 0.25% from a new historic high, Dow is similarly strong. USD remains seeing minor weak chop in the DXY 93.50s. 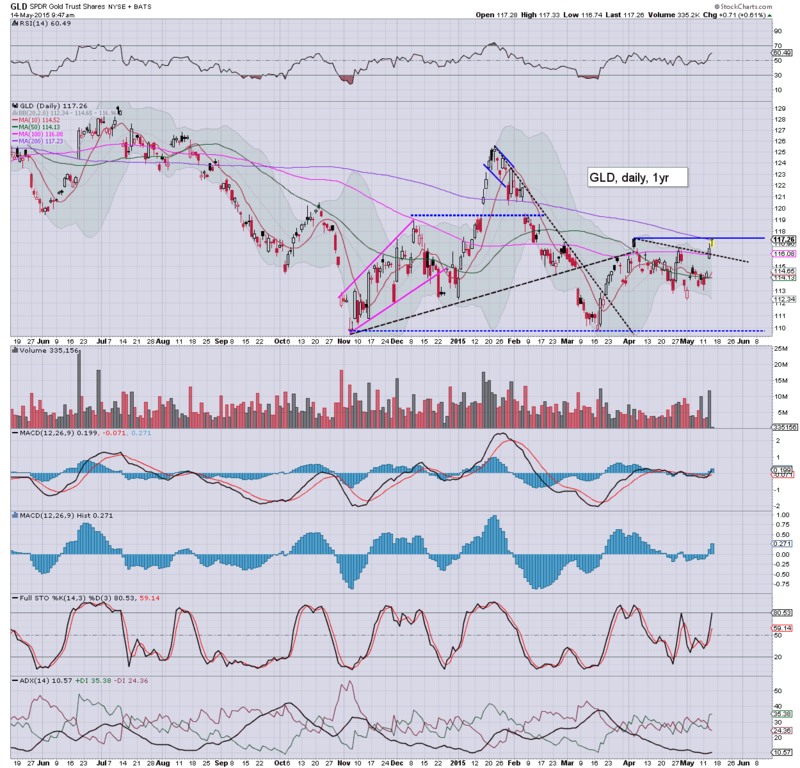 Metals remain higher, Gold +$9. Oil is notably weak, -0.6%. Little to add... on what is a pretty tedious day.. although that is probably the grey gloom/rain affecting my mood. Either that.. or that Gold won't go down. Urghh. 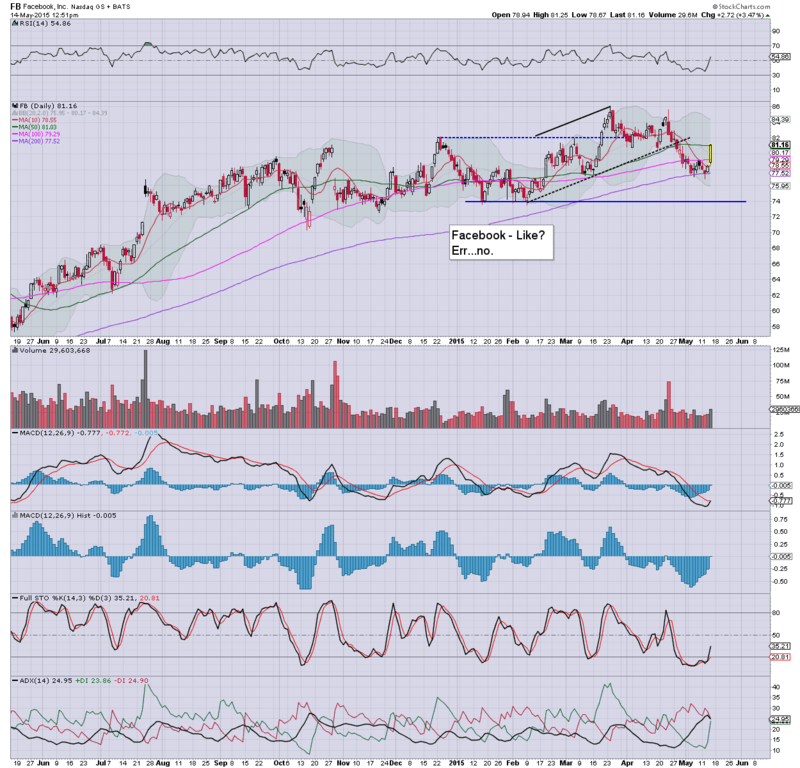 notable strength: FB + 3.9%.. as the momo chasers are out in force today. back at 3pm.. unless I fall asleep again. 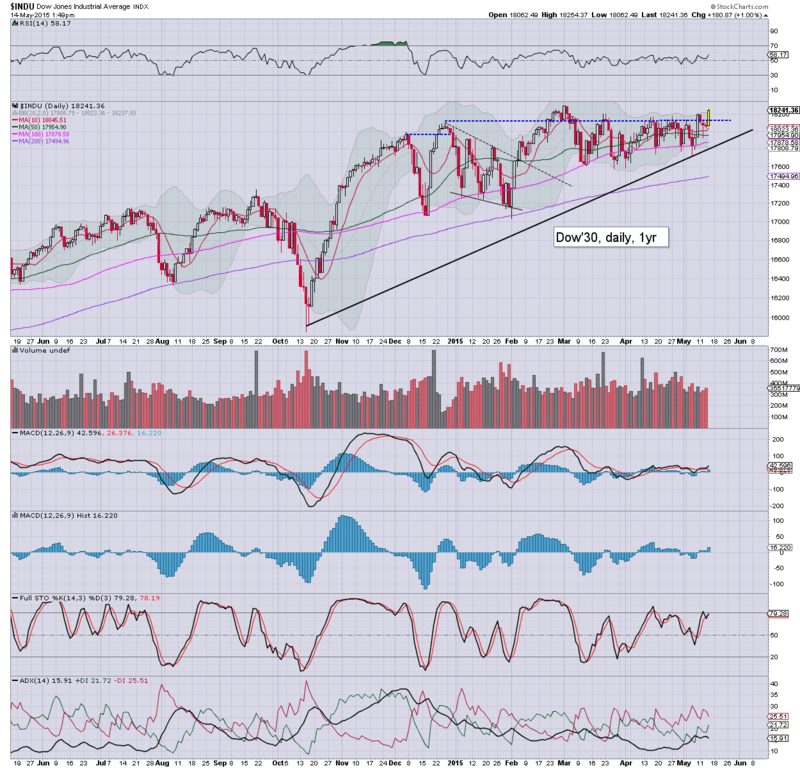 It sure looks like sp'500, Dow, and a few other indexes are set to break new highs in the near term. 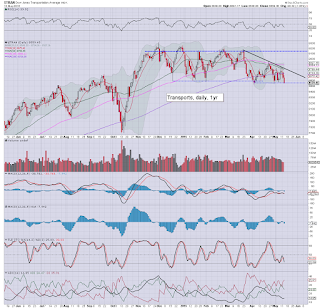 However, the two leaders - Trans/R2K, are badly lagging, and are a very probable early warning of trouble. 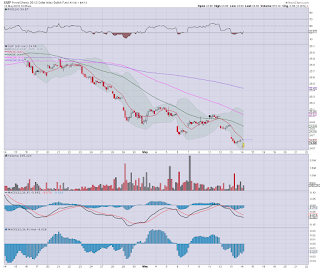 FB is seeing a key break through the 50dma... daily MACD cycle set to see a bullish cross late today/early tomorrow. Unlike yesterday, US equities are comfortably holding moderate gains, with the sp'500 set to break above soft resistance of 2117 late today/early tomorrow. 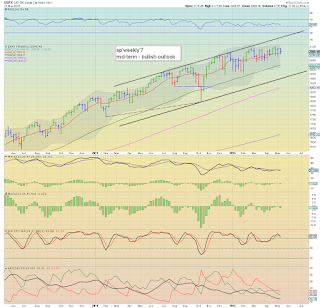 In either case.. new historic highs in the 2135/45 zone look due before month end. USD has turned a touch positive... helping to cool Oil and metals. *the turn in USD/Euro is arguably pretty important, but it does NOT feel like a capitulation low. Best guess.. a 1-2 week bounce.. before another wave lower to DXY 90/89s... and then the retrace from 100.71 will be complete. If correct, that should at least cool the metals and Oil to some extent. 11am update - USD flooring? Whilst equities are holding moderate gains, sp +14pts @ 2113, there has been a potentially key opening reversal in the USD/Euro. 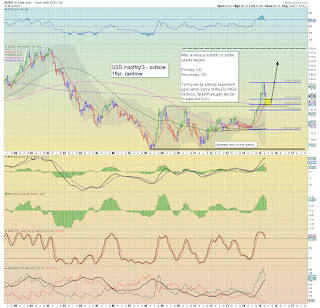 Primary target zone were the DXY 93/92s.. and there is now high risk of at least a short term USD bounce. Metals are starting to cool from their earlier highs, Gold +$6. 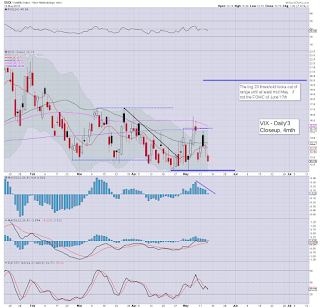 UUP has an opening reversal, but perhaps more notable.. an opening black-fail candle for FXE. This morning certainly doesn't feel like capitulation in currency land.. but at the very least.. there is threat of 1-2 weeks USD bounce. If Mr Market really wants to wash out the max' number of USD bulls, it'll bounce for week or so.. then break a new low with a key floor in DXY 90/89s. In any case... we're headed for 120s eventually.. and that will cause all sorts of 'issues'. notable strength: FB +2.6%.. with rather active trading. Daily cycle looks set for a bullish MACD cross late today/tomorrow. A daily close above the 50dma of $81s would be very bullish for next week.. and probably into early June. 11.04am.. Ohoh, Draghi is talking at the IMF.... cnbc europe is covering it.. no idea if USA version is. 11.34am.. the momo chasers are out in force today, FB +3.0%.. AAPL +1.8%.. it all bodes well for the bulls into tomorrow's OPEX. 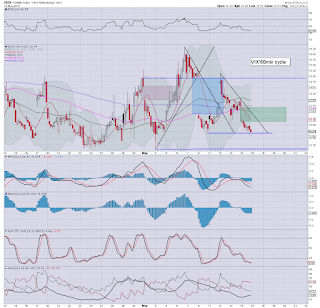 VIX -5% in the low 13s... reflecting a market that has ZERO concern about anything. 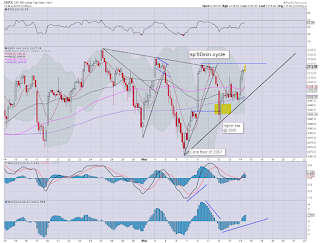 US equities open moderately higher, with the sp' breaking the Weds' high of 2110. With the USD -0.2% in the DXY 93.30s, the metals keep on climbing, Gold +$7. Oil is battling to hold gains of 0.9%. 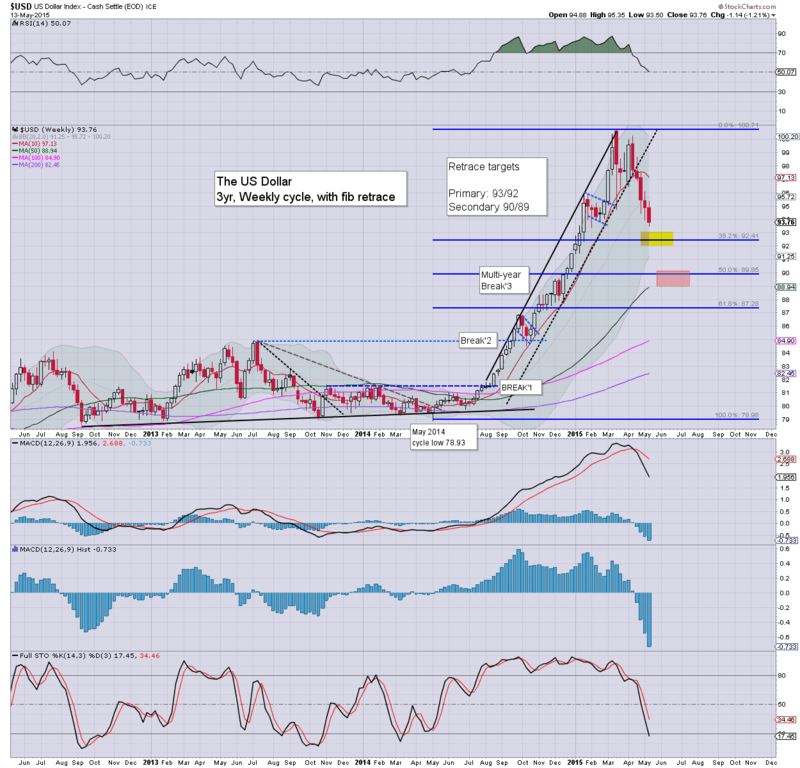 *Metals are really causing some problems for those short (including yours truly). Clearly, the weak USD remains the primary cause. 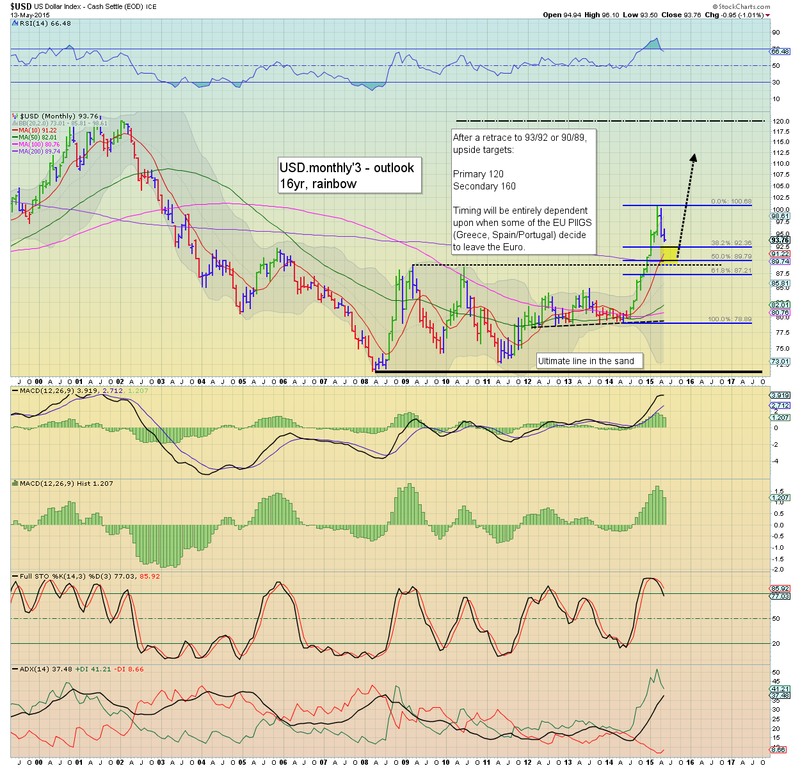 Once USD floors... metals should reverse hard. As the rains pour across London city this afternoon, in market land, its now a simple of case of either a break >2117... or... failing once more. Best guess... further upside, with a short-stop cascade beginning in the 2116/18 zone... that will offer a weekly close in the 2120s. 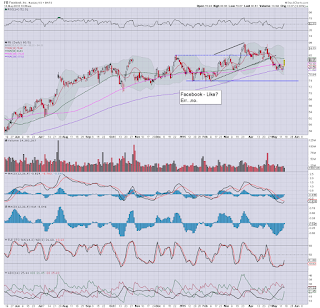 notable strength: AAPL, +1.1%... leading the way back upward..
weakness, JCP -4.7%... post earnings depression. 10.02am... 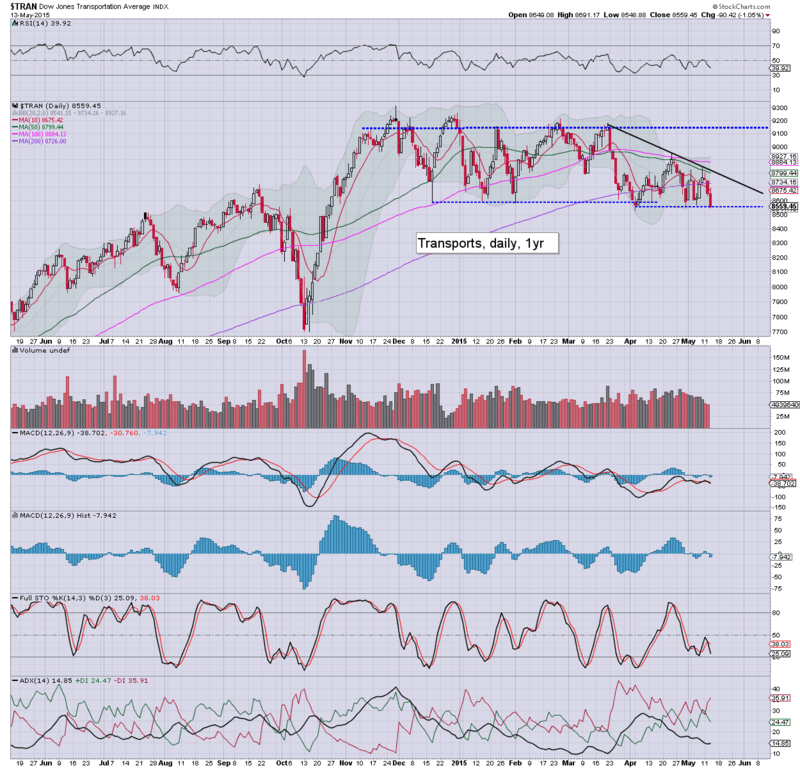 Transports sure ain't part of the party... u/c. R2K is only +0.1%. 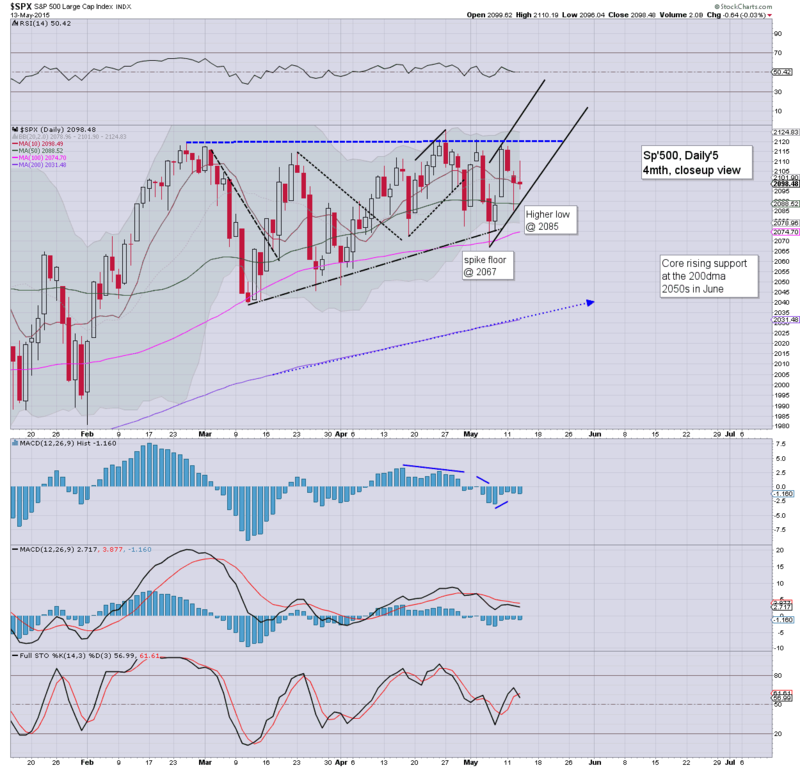 So... it remains a case of continued weakness in the two leaders... but new highs (due) in rest of the market. 10.07am.. Something is going on in FB, +1.4%... a lot of trades flying through right now. Daily chart is set for a bullish MACD cross tomorrow...bodes well for the broader market into the Friday close. 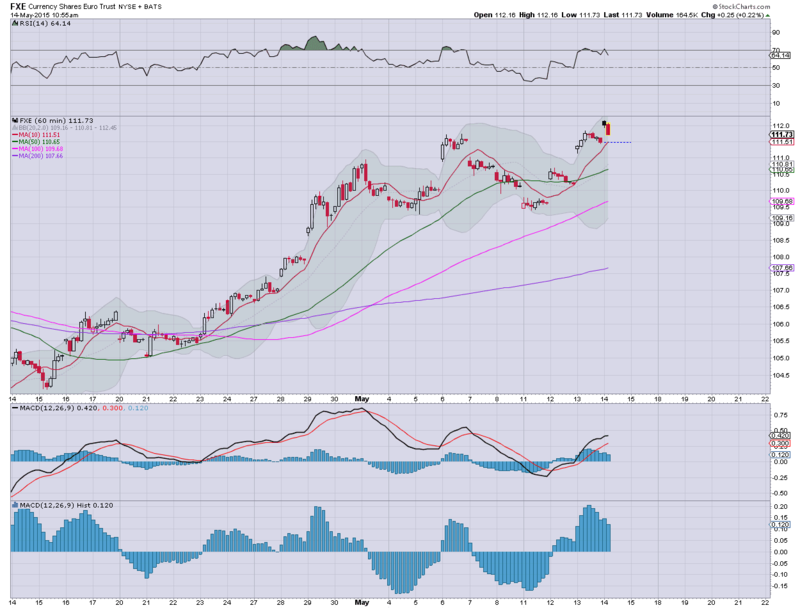 Opening black-fail candle in currency land... for the Euro... with a reversal in the USD. *Gold sure is trading closely with Euro/$ right now..
Good morning. Futures are moderately higher, sp +10pts, we're set to open at 2108. With the USD continuing to decline, -0.3% @ DXY 93.30s, the metals are a little higher, Gold +$2. Oil is building sig' gains of 1.1%. 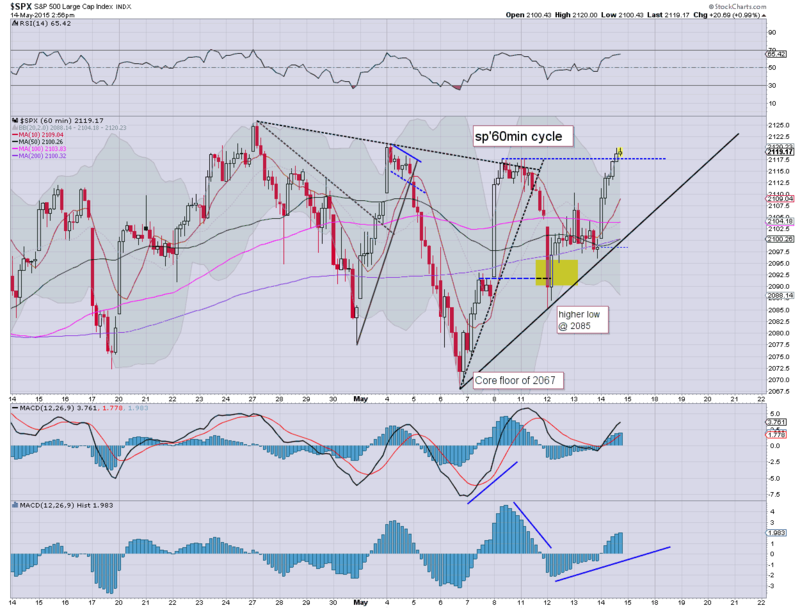 *note the upper bollinger on the weekly cycle, still offering the 2140s in the near term. 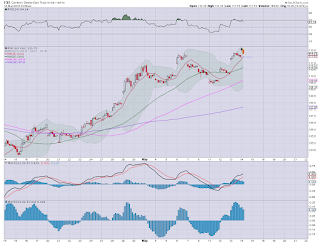 Well, now its seemingly a case of whether we'll see a net weekly gain. 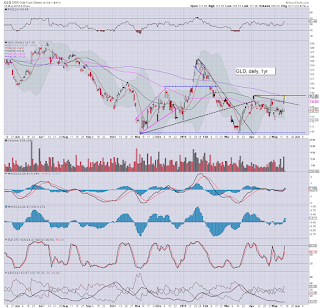 A break above 2110 will be important, but more so, 2117. If the latter is achieved, we should be trading in the 2135/45 zone by end month. 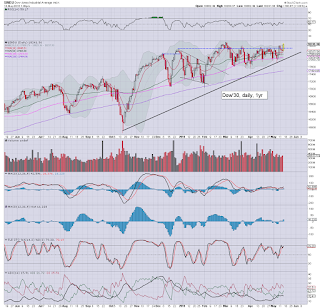 Best guess... new historic highs in some indexes, but the Trans/R2K are probably an early warning of 'summer trouble'. The continuing weakness in the USD is no surprise, but we're clearly VERY vulnerable to flooring in the DXY 93/92s. *awaiting weekly jobs data... but more so.. PPI data. 8.32am.. sp +12pts, 2110... back to the Tuesday high. Jobs data were arguably 'fine'... PPI was -0.4%... but then... lower prices are good for some. Metals are cooling a touch, Gold back to flat.... although it is notable Gold was -$6 overnight. Whilst the broader equity market saw a day of minor chop, there was notable significant weakness in the USD, which settled lower by -0.9% @ DXY 93.76 (intra low 93.50). 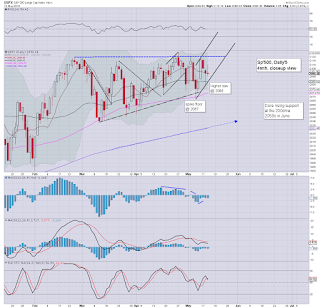 The retrace from the March high of 100.71 now amounts to 7%, with a viable 3-4% still to go. It is very notable that whilst the USD has now cooled a significant 7% since March, the US equity indexes have been broadly flat. That does not bode well for the equity bulls, for when the USD starts clawing back upward (never mind >DXY 100), it will put major downward pressure on most US asset classes. 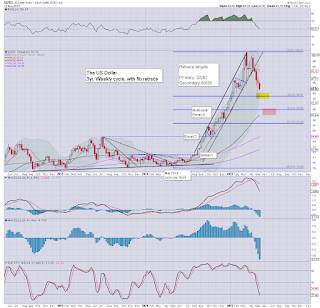 Eventually - and it remains one of my core longer term predictions, the DXY 120s look set to be hit. That would likely occur via a GREXIT, with €/$ 0.80s. Thursday will see the usual weekly jobs, along with PPI data. *the 'old leader' - Transports, continues to really struggle. 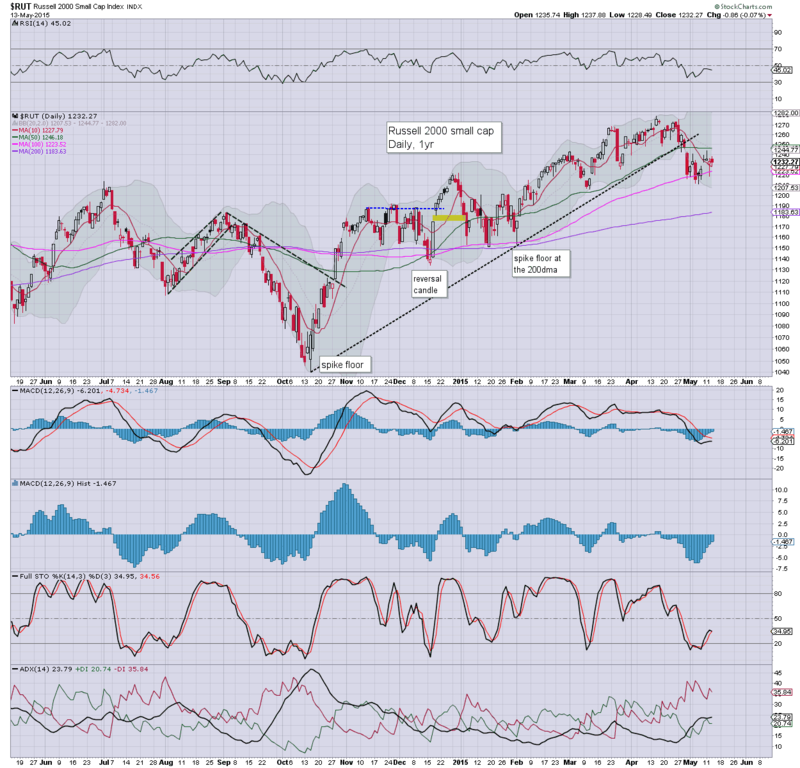 The index has been broadly stuck since last November, and remains under the rather important 200dma. 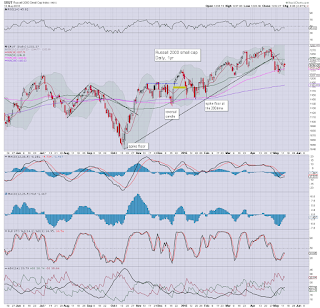 Broadly.. new historic highs in the sp'500, Dow, NYSE/Nasdaq comp' look viable in the near term.. however, it would seem the two leaders - Trans/R2K are offering a preliminary warning of 'summer trouble'. It is especially notable that whilst the USD has cooled a full 7% since March, the US markets have largely failed to benefit. 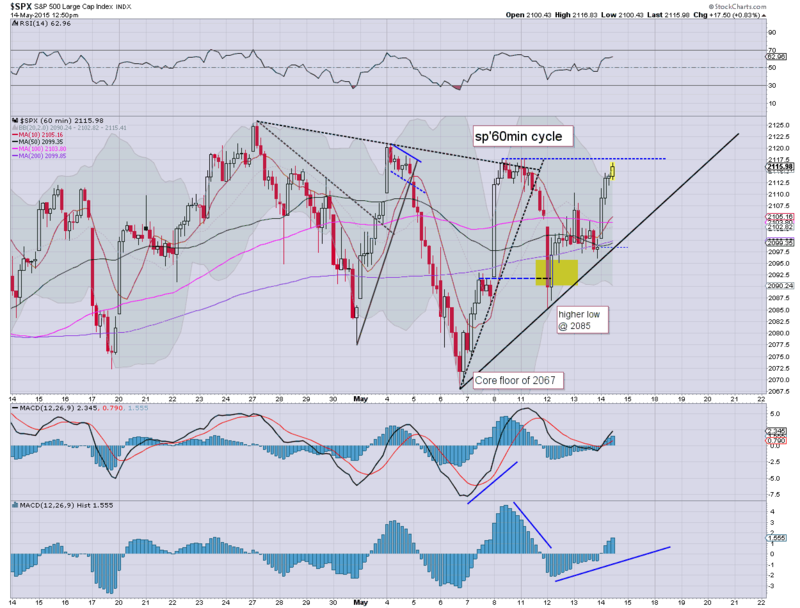 Add 7% back to the USD later this summer, and we are probably looking at indexes much lower.